Hey, you never know when you’re going to need a phillips screwdriver or bolt driver in a pinch, but that bottle opener could come in handy on a daily basis. Bonus: it keeps your pants up! 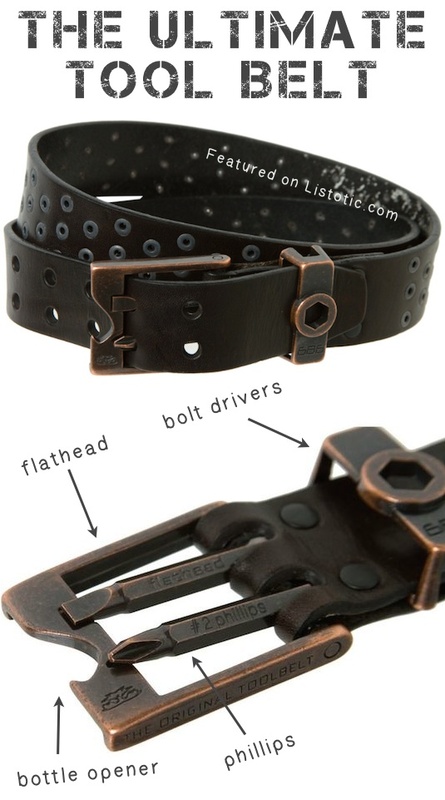 The original source for this no longer carries these belts, but I did find a very similar one on Amazon.